They've been enjoying a whirlwind romance. 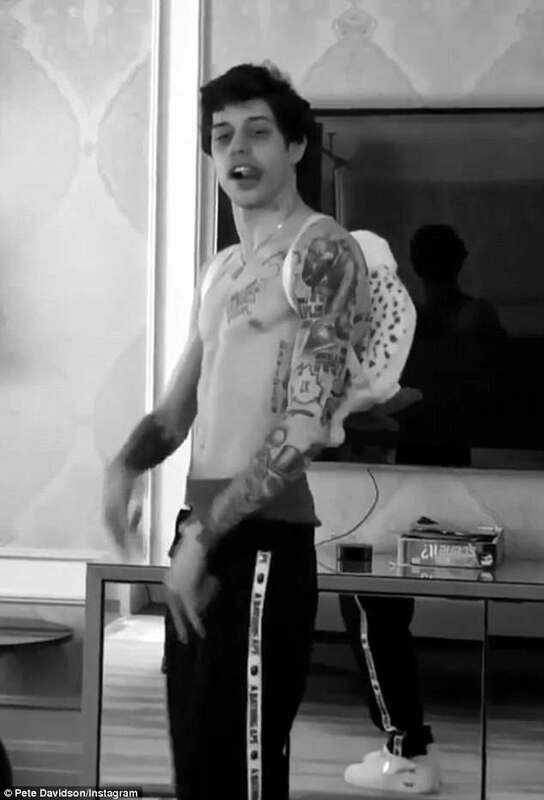 And now it seems that Pete Davidson's headlong rush into love with Ariana Grande even had his favorite tattoo artist concerned. 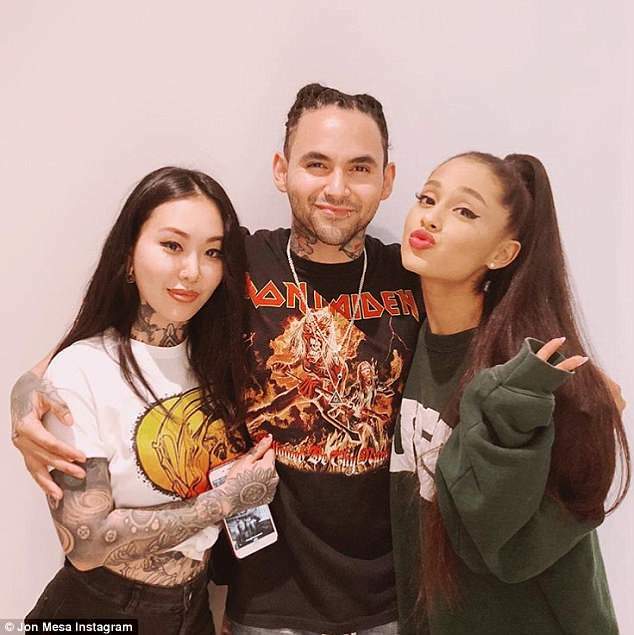 Jon Mesa, the co-owner of No Idols Tattoo shop in New York's Chinatown, told PageSix.com he'd warned the SNL star, 24, to hold fire on getting new ink for his new girlfriend, but was ignored. Davidson visited Mesa's tattoo parlor to get an image of his ex-girlfriend Cazzie David's face covered up. He and the daughter of Curb your Enthusiasm's Larry David dated for roughly two years before he announced they had broken up in May. A short time later, Grande, 24, started showing off a huge diamond engagement ring on her social media. 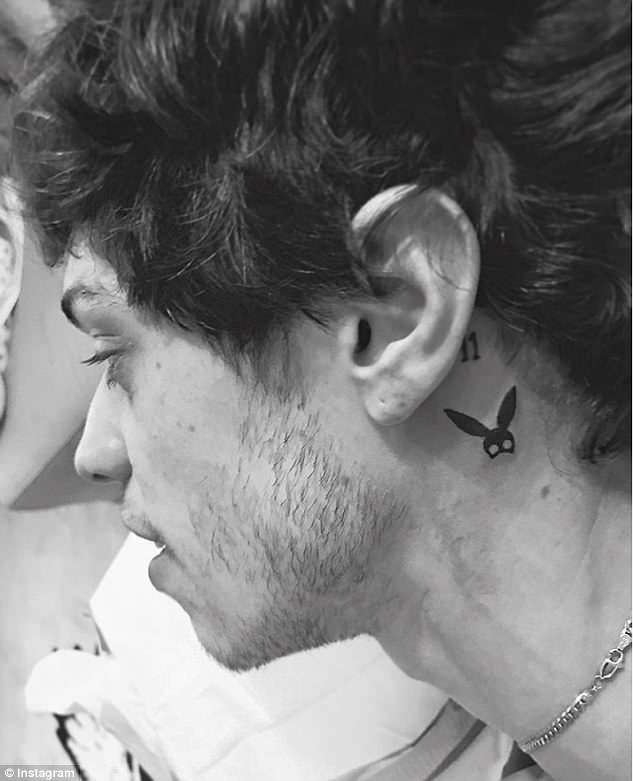 And Davidson got her initials AG inked on his right thumb as well as adding a tattoo of her signature bunny ears inked behind his ear. Last Thursday Davidson confirmed their engagement on The Tonight Show with Jimmy Fallon and the two are moving in together in a luxury $16 million apartment in NYC. The inseparable couple were spotted out and about together in the Big Apple on Monday, holding hands as they grabbed coffee together. According to Hollywood Life, Ariana already had big plans for her wedding to the comedian. 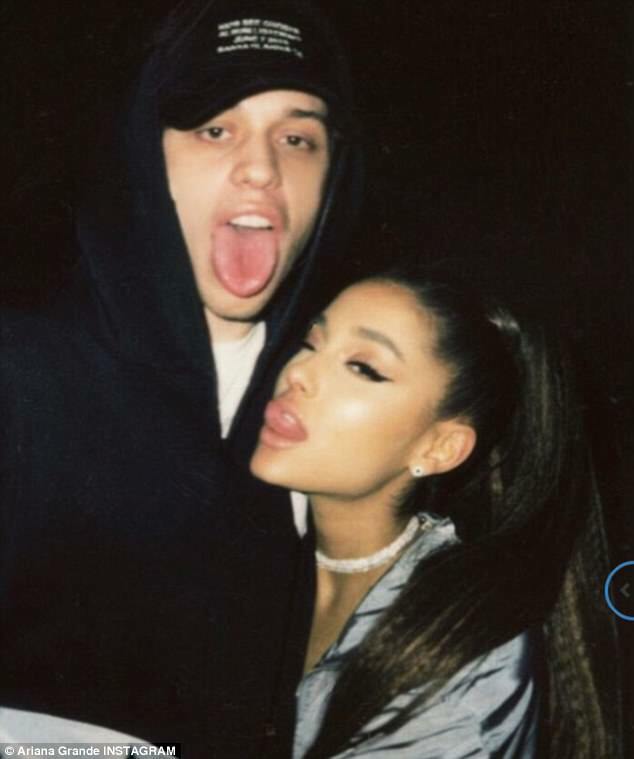 'Ariana is still on cloud nine from Pete's proposal and incredible ring,' a source said last week. 'He totally surprised her and stole her heart, she never thought she could be this in love. It's a total whirlwind for Ariana and Pete, so they haven't officially started planning, but she's got lots of ideas about what she wants.